As we come together as a nation to celebrate the birth of Atlanta’s own and Nobel Peace Prize winner, Dr. Martin Luther King Jr., we can’t help but reflect on his life of non-violent activism and dreams for peace, equality and justice not only for fellow African Americans, but for all Americans. Dr. King devoted his life to the vision for people of all colors, creeds and religions to ultimately live for one another, serve each other as true brethren, and reach our full potentials as human beings both physically and spiritually. For anyone not familiar with Dr. King and his life’s work, below are only a few of his most inspiring quotes which resonate with us here at Celebrity Ballroom Dance Studios on this special day. We hope the selection speaks to your heart as it does ours. 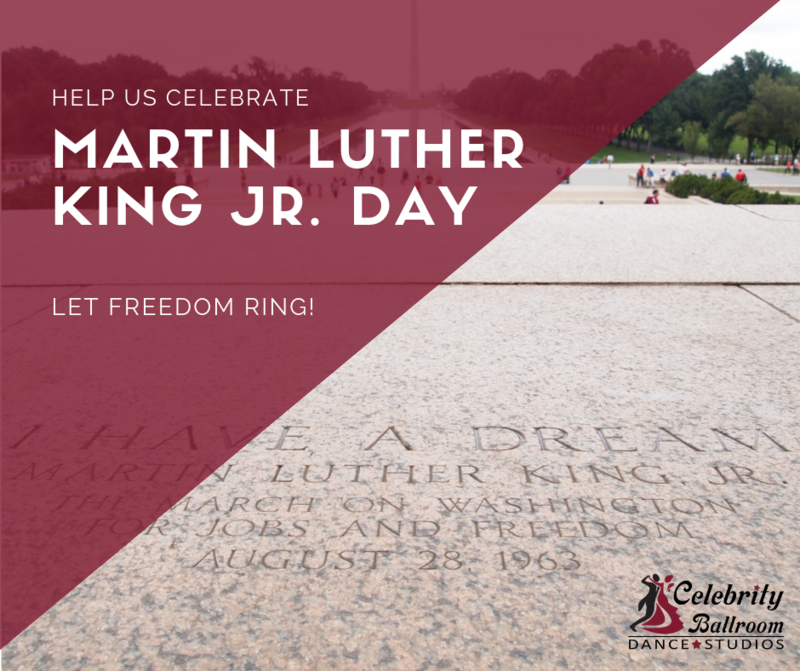 Dr. King, from all of us at Celebrity Ballroom Dance Studios, we celebrate you today and will never forget what you gave to this world. Happy Birthday! Learn more about Dr. Martin Luther King Jr.’s life HERE.